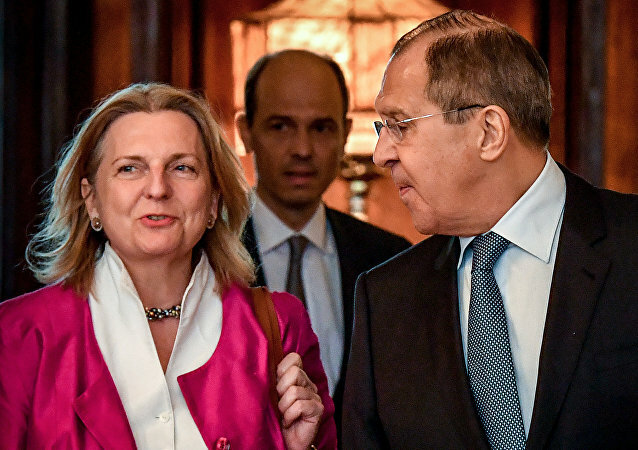 VIENNA (Sputnik) - Austrian Foreign Minister Karin Kneissl has stated that she regretted the US decision to halt its participation in the Intermediate-Range Nuclear Forces Treaty (INF). VIENNA (Sputnik) - Moscow and Vienna have not been negotiating possible dates of Austrian Foreign Minister Karin Kneissl's visit to Russia, which was postponed over the recent spy scandal, Russian Ambassador to Austria Dmitry Lubinsky told Sputnik. 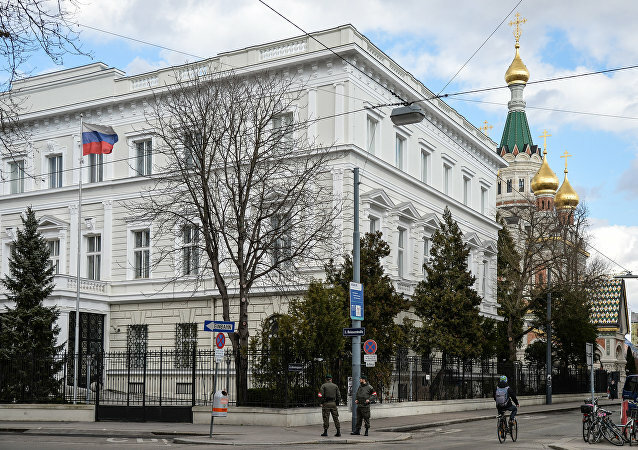 Addressing the espionage case, Moscow protested to Austrian Ambassador to Russia, calling the accusations baseless. 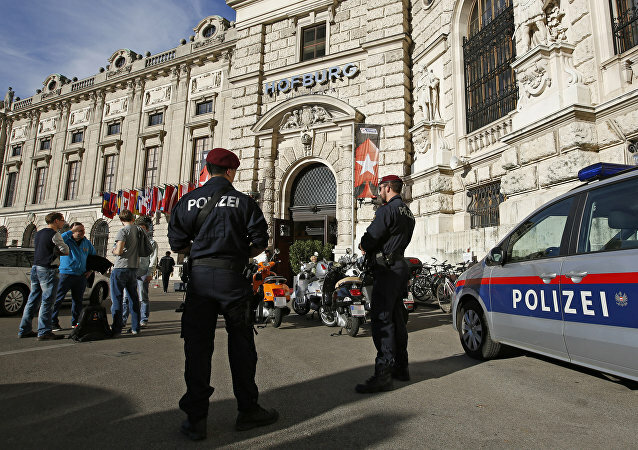 In response, General-Secretary of the Austrian Interior Ministry Peter Goldgruber expressed hope that the incident would not undermine Austrian-Russian relations. The report comes on the heels of espionage allegations against Russia as Austria has accused one of its retired colonels of spying for Moscow for some 20 years. 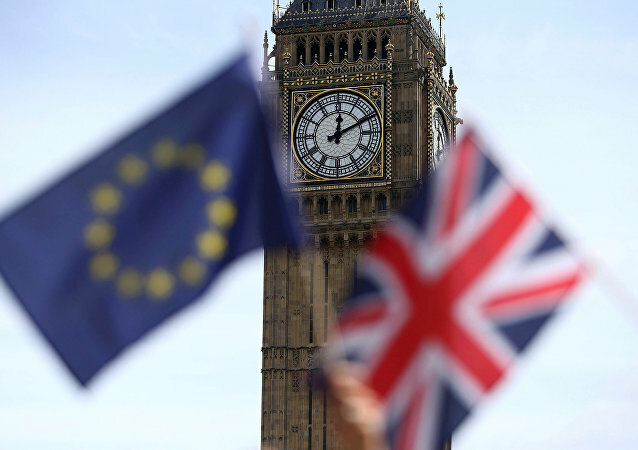 Moscow has blasted Vienna’s way of handing the scandal, saying that the “unfounded accusations” were unacceptable. Austrian Foreign Minister Karin Kneissl landed in hot water in August for dancing with Russian President Vladimir Putin at her wedding reception. 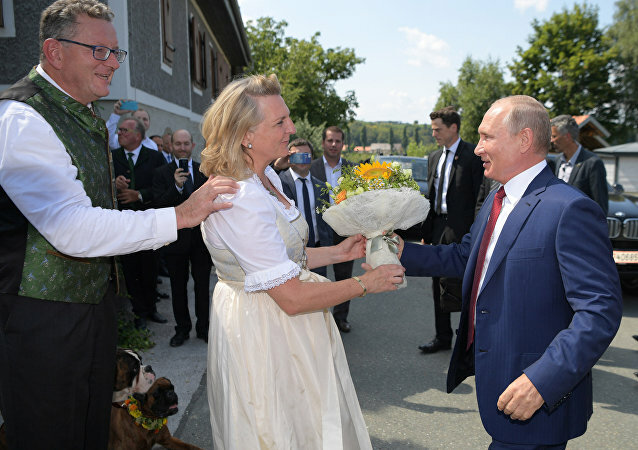 President Vladimir Putin was a guest of honor at the wedding of Austrian Foreign Minister Karen Kneissl where he danced with the bride and made a speech. 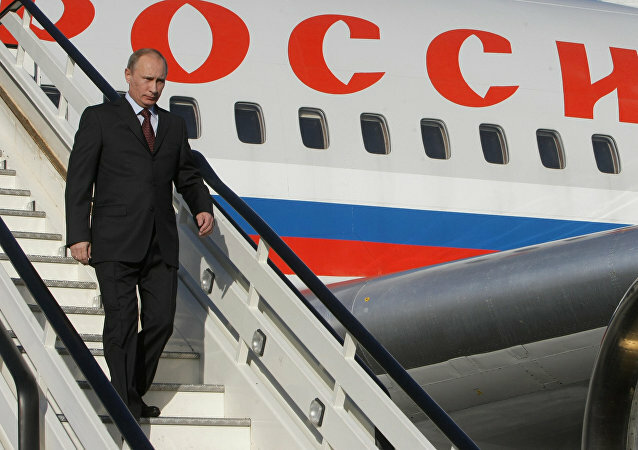 MOSCOW (Sputnik) - Russian President Vladimir Putin has arrived at the Graz city airport in the southern Austrian state of Styria, where the wedding of Austrian Foreign Minister Karin Kneissl will take place, Oe24 reported Saturday. MOSCOW (Sputnik) - Austrian Foreign Minister Karin Kneissl will marry businessman Wolfgang Meilinger at a ceremony on Saturday at the Gasthaus Tscheppe restaurant, located in the Austrian southern Styria state. 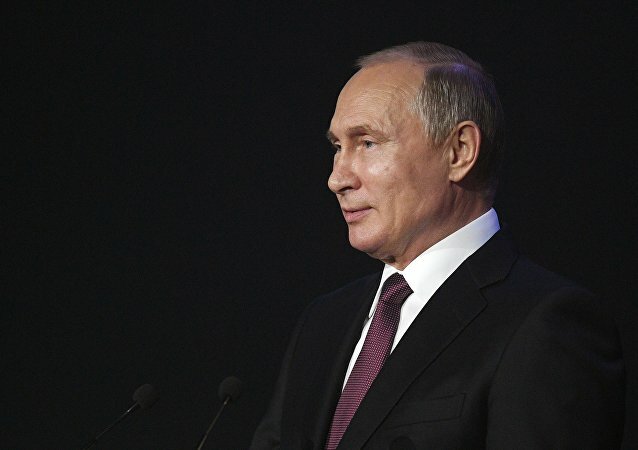 Russia's president will attend the upcoming wedding of Austrian Foreign Minister Karin Kneissl and entrepreneur Wolfgang Meilinger, raising concerns among the country's politicians while exciting locals. VIENNA (Sputnik) - Austria encourages a dialogue between Russia and the West, and as a host to numerous international organizations offers meeting grounds, including within the framework of the OSCE, Austrian Foreign Minister Karin Kneissl told Sputnik in an interview amid Russian President Vladimir Putin's visit to Vienna. The top diplomats of Russia and Austria are due to discuss the resolution of the Syria crisis, the fight against international terrorism, as well as other topics on the international agenda. Austria is prepared, if asked, to act as a broker between Russia and the West in the spat over the Salisbury attack, the nation’s Foreign Minister Karin Kneissl said Wednesday.